A chamoyada from Roosevelt Avenue. JACKSON HEIGHTS — When the temperatures rise, you want to reach for something cool. And the diverse restaurants, shops and stands throughout Queens represent all the various ways different cultures beat the heat with something sweet — from shaved ice specialties to ice cream. Here's a list of seven treats to get along the 7 train. These Mexican shaved ice treats are sweet, spicy and sour thanks to a mix of chamoy sauce, made from pickled fruit, lemon juice, and chili powder. 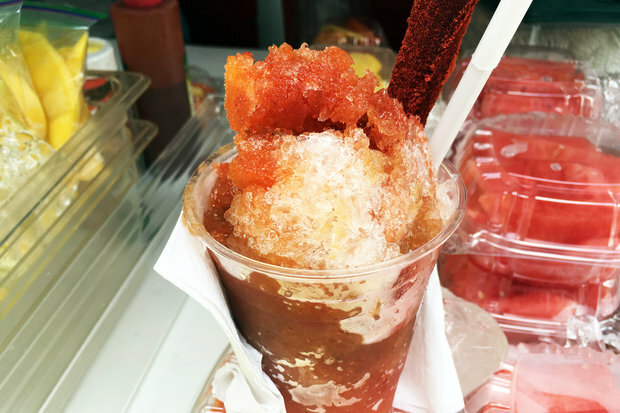 Nieves Tia Mimi, which has other outposts in Sunset Park and Brighton Beach, sells the ices piled high with pieces of mango and a tamarindo candy. Their Jackson Heights location is at 89-14 Roosevelt Ave.
You can get similar ices along Roosevelt Avenue, including the small stand in front of the grocery store on the southeast corner of Roosevelt Avenue and 80th Street. This Colombian delicacy combines shaved ice with condensed milk and fruit, often topped with whipped cream, shaved coconut and a wafer. You can get these at many bakeries, and our favorites are El Palacio de Cholados at 83-18 Northern Blvd. and Jugos Prontito Y Algo Mas, which just moved to 40-25 Forley St. from it's former 43rd Avenue location in Elmhurst. 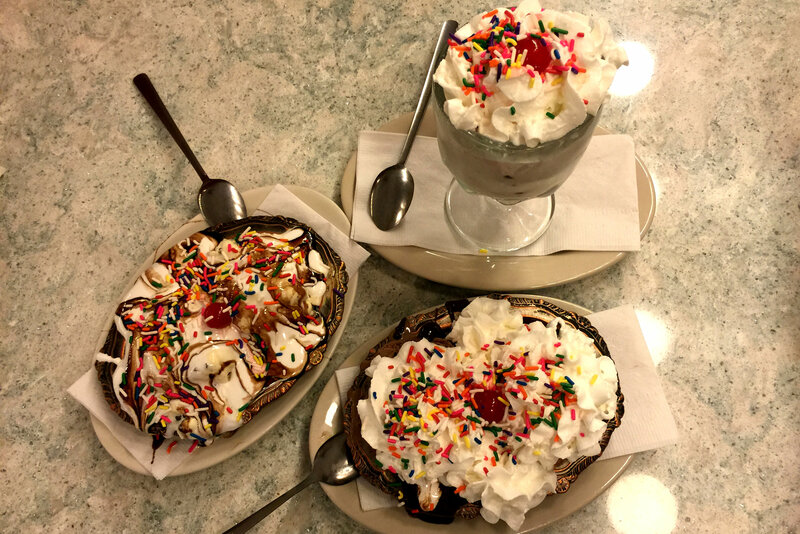 This Indian treat is like a creamier, thicker version of ice cream, and can be found homemade ad in many flavors at Al Naimat, 37-04 74th St., in Jackson Heights. #halohalo If you haven't had halohalo you really should!!!! This Filipino dessert mixes shaved ice and evaporated milk with a bunch of other ingredients, including fruit, coconut and beans. Grab it in a big glass bowl at Woodside restaurants including Papa's Kitchen, 65-40 Woodside Ave., Krystal’s Cafe & Pastry Shop, 69-02 Roosevelt Ave., or the chain Jollibee, 62-29 Roosevelt Ave.
And first Italian ice in Corona! You can grab ices at many carts along Roosevelt Avenue, but to experience the king head to 52-02 08th St. in Corona for the Lemon Ice King. With dozens of flavors, this corner shop has been handing out scoops of ices for more than 60 years. The only downside is they don't mix flavors — so bring a friend to try out more than one. The 10Below in Flushing, at 36-17 39th Ave., serves this authentic Thai-style dessert of flattened and rolled ice cream, topped with fruit and other treats. Check out this video of the ice cream being made at their Manhattan location.